Everyone’s favorite young detective duo is in for wild ride in this all-new Hardy Boys Secret Files mystery! Frank and Joe are excited to learn that Thrill Kingdom, their local amusement park, is having a contest for kids to design a brand-new ride. And they’re even more excited that their friend Phil is entering! The prize? Free passes to the park for the winner and two friends—aka, two Hardy brothers! But on the day of the contest, someone ruins Phil’s roller coaster contest entry. Since it had been kept in a locked room while awaiting final judging, everyone is confused as to who could have found their way inside. 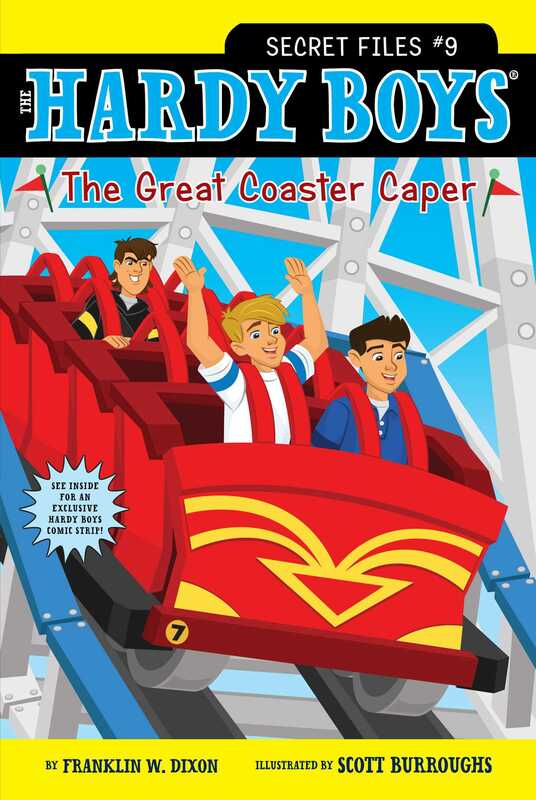 It’s up to Frank and Joe to figure out the twists and turns of this coaster caper!